Elegance in time and craft is what beckoned master watchmaking brand Chopard to sponsor of the celebrated Mille Miglia race. The magnitude of the event inspired them to create the Mille Miglia Chronograph that same year. The family company has continued its partnership with the race for more than 20 years now. 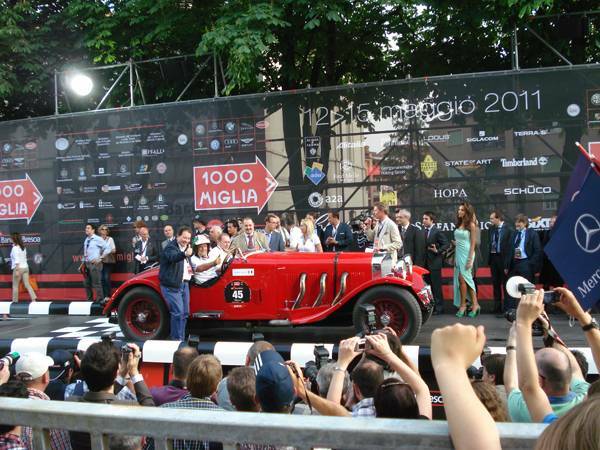 The 1000-mile race takes the vintage sports-cars from Brescia to Rome and back and will soon be making its way to the California coast via Stratus Media Group. Karl-Friedrich Scheufele, Co-President of Chopard, and a steadfast fanatic of classic racing cars, conceptualized the sporty Mille Miglia Chronograph designed to keep precise time during a race. 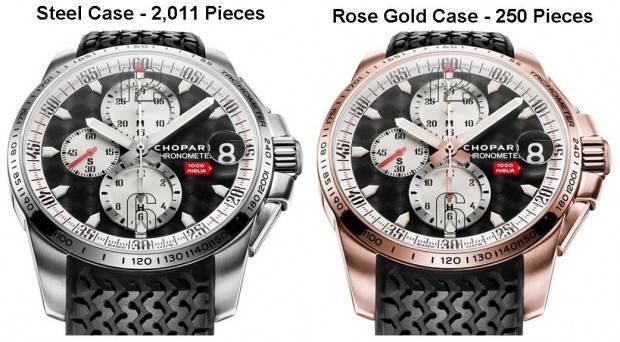 It stands as one of Chopard’s most successful and iconic collections to date, with aficionados desperate for its annual reveal. 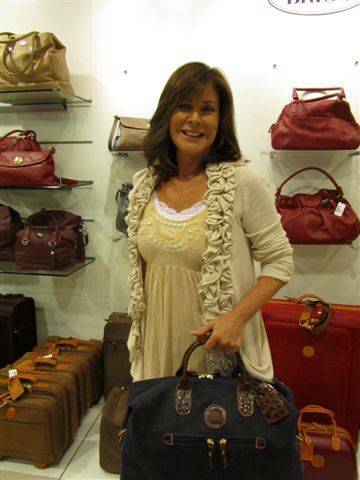 The designs have traveled the roads of the race, morphing each year in tune to the indelible nature of the touted event. In the past it has acquired such features as a natural rubber strap bearing the unmistakable Dunlop racing tread and the largest self-winding caliber (44 mm diameter) to date. The Mille Miglia GT XL Chrono 2011 continues the tradition with a generous 44 mm case in steel or 18-karat rose gold that frames a dial with a vintage-style design featuring elongated numerals that are in tune with the characteristic Mille Miglia numerals. The engine-turned dial finish is reminiscent of vintage sports car dashboards, while its black color lends a resolutely contemporary touch that beautifully highlights the silver-toned snailed and hollowed counters at 12, 6, and 9 o’clock. The minute circle appears in black and red – a nod to the color of the race. The fine movement is water-resistant to 100 meters and fitted with a bezel bearing a tachometric scale, a screw-lock crown adorned with the famous Mille Miglia arrow, and broad chronograph pushers protected by glare-proof sapphire crystals on both sides. From a technical standpoint its mechanical self-winding movement beating at a frequency of 28,800 vibrations per hour is visible through the transparent case-back and drives the hour, minute, date, small seconds functions, as well as the chronograph with its central seconds hand, and its 30-minute and 12-hour counters. It is also equipped with a stop seconds mechanism enabling time-setting to the nearest second. 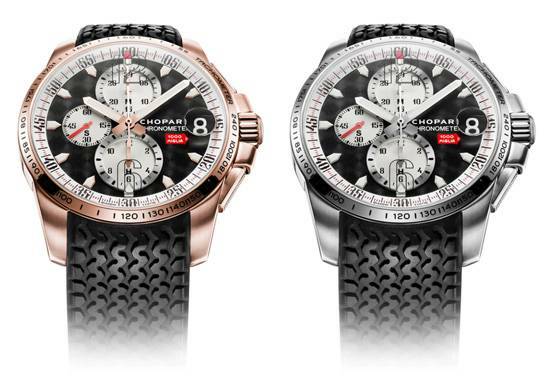 The Mille Miglia GT XL Chrono 2011 is available in steel or in 18-karat rose gold (250-piece limited edition).